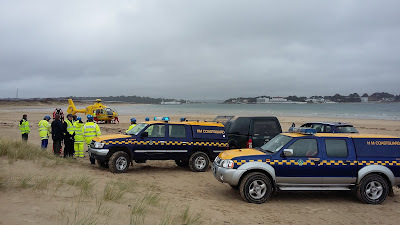 The team were tasked to Pilots Point on Studland Beach this morning to deal with a young lady who had fallen awkwardly whilst out horse riding. 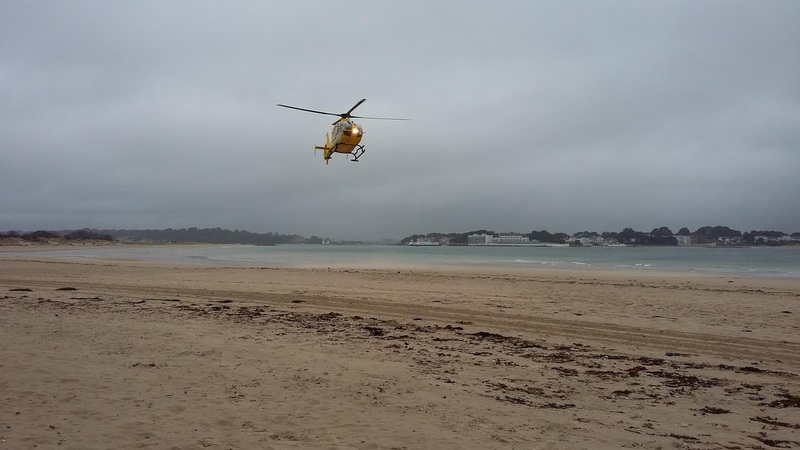 Working with SW Ambulance paramedics, and joined by colleagues from St Albans, the team stabilised the casualty before moving her to a safer location away from the incoming tide and sheltered away from the fresh wind. 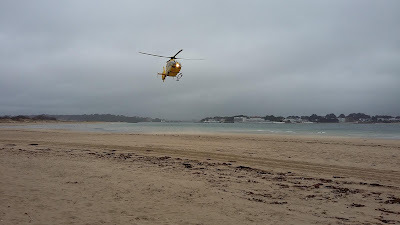 The Dorset & Somerset Air Ambulance was despatched from Henstridge and duly flew the casualty to Poole Hospital. Our thanks go to the National Trust and the Neighbourhood Police Team for their assistance and offering a 4-wheel drive capability in this remote location.